Retrospective Review of Hypersensitivity Reactions to Paclitaxel with Oral Versus Intravenous Dexamethasone, Antihistamine and H2-Antagonist Premedication. Aim: To evaluate the incidence and severity of hypersensitivity reactions (HSRs) in patients treated with paclitaxel with oral versus IV dexamethasone premedication. To assess the association of paclitaxel HSR with cycle of treatment, dose and previous history of drug-related HSR. 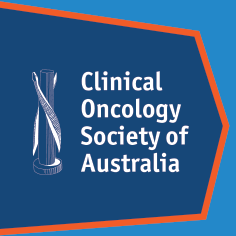 Method: Electronic medical histories for patients treated with paclitaxel (first 2 cycles only) at Peter MacCallum Cancer Centre between June 2012 and June 2013 were reviewed for incidence and severity of HSR. HSRs were graded according to medical records or against the National Cancer Institute (NCI) criteria. Data was analysed with Stata version 12.0 (StataCorp) using chi-square and two-sample t-tests with a threshold of p < 0.05 to define significance. Results: 203 paclitaxel infusions were administered to 108 patients of which 54% (n=109) received oral and 46% (n=94) IV dexamethasone. There was no significant difference in incidence of HSR with oral 3.8% (n=4) or IV 6.5% (n=6) dexamethasone (p= 0.387). All HSRs were grade 2 except for one grade 1 incident in the IV group. The mean time to onset of HSR was 26 minutes (range: 0 to 180 minutes). Mean paclitaxel dose was higher among patients with HSR (268mg) compared to those without (222mg), although this was not statistically significant (p=0.184), due to small number of patients with HSR. Differences in incidence of HSR in the first cycle (7.3%, 8/110) vs. second cycle (4.3%, 4/93) were observed, however, significance was not demonstrated, p=0.731. Similarly, no association was demonstrated with paclitaxel HSR and prior history of any drug related HSR; 4.6% (3/65) vs. 6.5% (9/138) (p=0.591). Conclusion: Single-dose IV dexamethasone was associated with a similar rate of HSR to paclitaxel to the two-dose oral dexamethasone regimen. Although lacking power to determine non-inferiority, IV dexamethasone in patients non-compliant with the oral regimen does not appear to increase risk of HSR to paclitaxel.